Come and celebrate a Feast of love for Valentines Day. Bookings are essential. 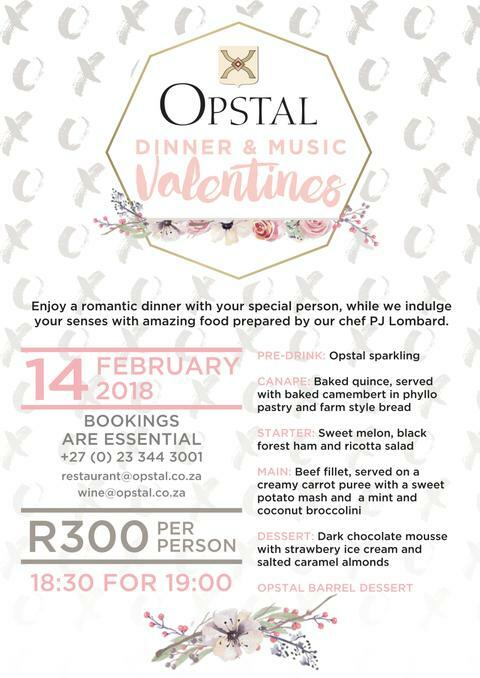 Reserve your seat at restaurant@opstal.co.za / wine@opstal.co.za or contact us at 023 344 3001. Thank you for sharing! I hope to hear more updates from you. great opportunity, already planning a dinner on 14th feb this year.